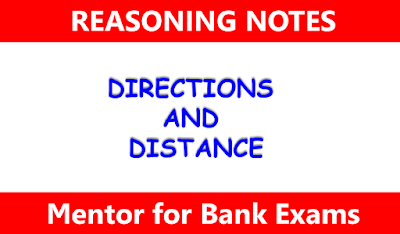 Direction is a measurement of position of one thing with respect to another thing and displacement is the measurement of distance between the starting and final point. 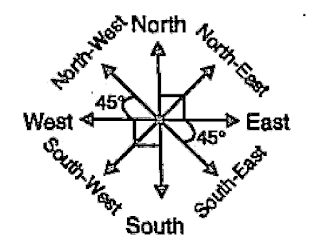 There are four main directions viz., North, South, East and West, whereas the sub-directions are: North-East, North-West, South-East and South-West. 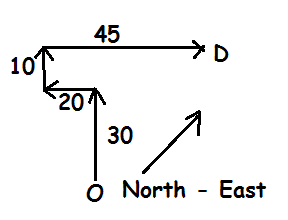 The following diagram shows the directions and sub directions. There are three types of questions which are generally asked in various competitive exams. 1. Raju facing towards East, Turn to his left, and walks 30 meters, then he turn again his left and walks 20 meters and then he moves 10 meters to his right, lastly he move 45 meters right. Which direction he is now from his starting point ? 2. Walking 60 meters to the North. 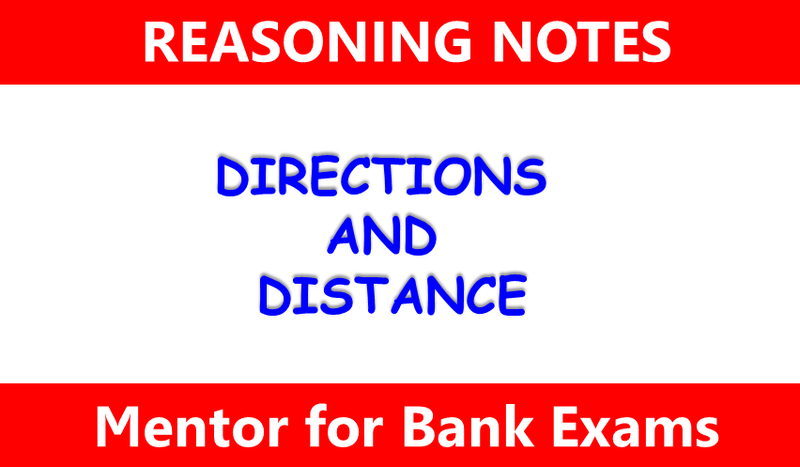 Ritika turns left and walk 30 meters and then turning to the south and walks 30 meters, again turn left and walks 30 meters. Which direction she is walking now ? 3. A person is walking towards south for 50 meters. Later he looks left and walks30 m. Again he took left and walks 80m. Later in the journey he took right and walks for 10 meters finally he moves to his left and walks 30m and again takes 30m to his left. What is his final direction? 1. Vinay moves towards South-East, a distance of 7m, then he moves towards Wes and travels a distance of 14m. 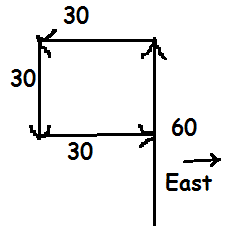 From there, he moves towards North-West a distance of 7m and finally he moves a distance of 4m towards East and stands at point. How far is the starting point from where he is standing? 2. Vivek travelled 12kms West, then he turned left and travelled 8kms. Then he turned left and travelled 12kms. How far was Vivek from starting point ? Vivek is 8kms away from the starting point. 3. A walked 20m towards south and then took a left turn and walked 40m. Again he took left turn and walked 15m. Finally he turned right and walked 10m and stopped. How far is he from starting point ? 1. Point W is 7m towards the West of point X. Point X is 3m towards the North of point Y. Point Z is 4m towards West of point Y. 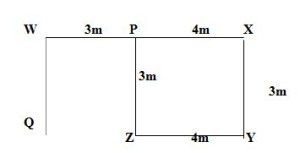 A person walks 3m towards North from point Z and reaches point P . How far and towards which direction will he have to walk to reach point W ? 2. 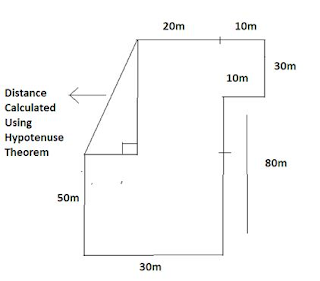 A boy goes 6 m North and turns east and walk 8 m. Again he turns to his right and walk 4 m. After this he turns to his right and walks 8 m. How far is he from his starting point and in which direction? So, the boy is 2m away from the starting point and in the North direction. 3. Kumar walks 8km towards North. From there he walks 4 km towards south. Then, he walks 3km towards East. 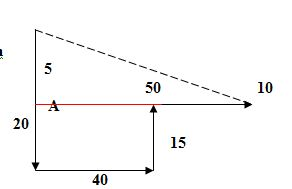 How far and in which direction is he with reference to his starting point? So, Kumar is 5m away from the starting point and in North-East direction.